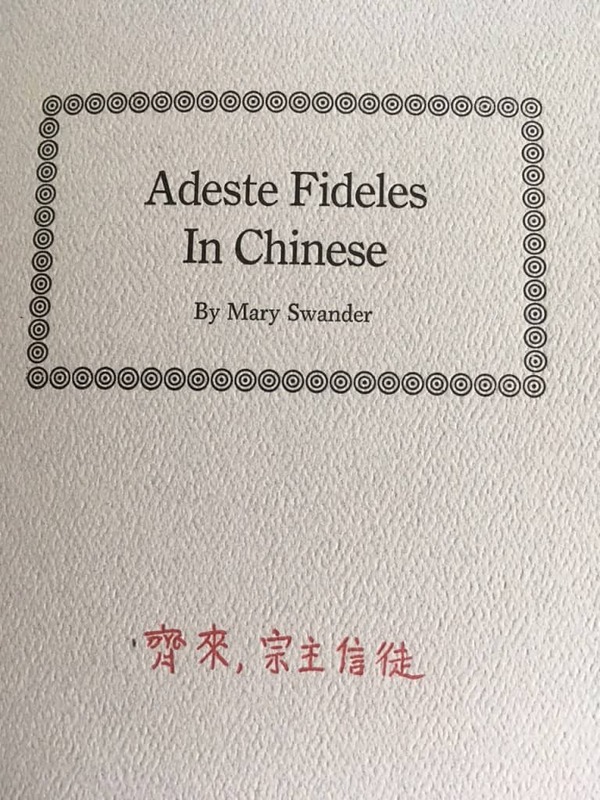 Mary Swander’s new book Adeste Fideles in Chinese is the third in a series of handmade books published by Timothy Fay of Route 3 Press in Anamosa, Iowa, depicting the author’s interactions with her Amish neighbors. This new book captures a Christmas story of multi-cultural exchange. 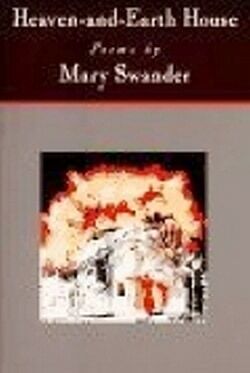 Mary Swander, a nationally recognized and award-winning author, has published her latest book of poetry called The Girls on the Roof (April, 2009, WordTech Press). 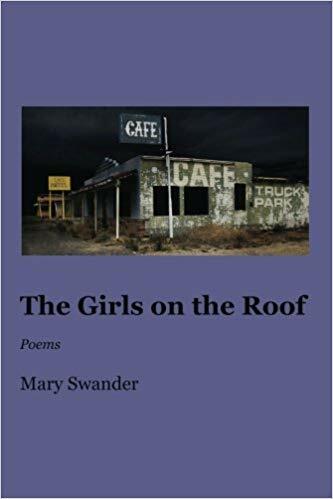 The Girls on the Roof is a long narrative poem about a mother and daughter stuck on top of the roof of Crazy Eddy’s Café on the banks of the Mississippi River for three days during the 1993 flood. There, the two women discover that they’ve both had an affair with the same man. Swander and the internationally renowned Eulenspiegel Puppet Company (http://www.puppetspuppets.com) have created a performance piece from selections of The Girls on the Roof. In this one-hour adult (not for children) production, Swander reads poems from her new book while puppeteer Monica Leo brings the scenes alive through the use of hand, rod, and shadow puppets. This show, filled with old time music, romance, intrigue, humor, folklore, and the flora and fauna of the Mississippi River basin, will dazzle the ear with its poetic rhythms, and delight the eye its likenesses of an unforgettable cast of characters. Injured in a car accident, Swander made a pilgrimage to New Mexico where she sought the aid of traditional Hispanic and Native American healers in her recovery. 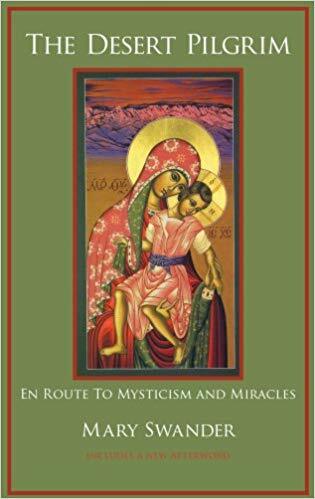 In Albuquerque, she encountered Father Sergei, a Russian Orthodox monk whose barrio church is hidden away on the once-proud Route 66, now the terrain of crack dealers and the homeless. In his backyard, Father Sergei grew herbs for the curandera, Lu, in the pharmacy across the street. Lu’s herbal cures are legendary. These two healers led Swander through the “dark night of the soul” to look inside herself and to the Divine for strength and meaning. Lu took Swander on a trip into the New Mexico landscape to harvest herbs and return with a more profound sense of desert spirituality. 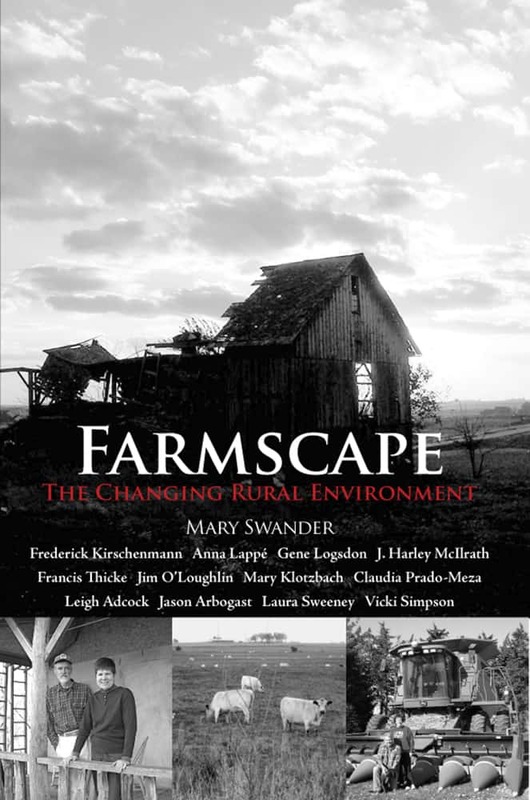 When a severe allergic illness dictated that she grow all her own food, Mary Swander found herself living in a former one-room Iowa schoolhouse in the midst of the largest Amish community west of the Mississippi. 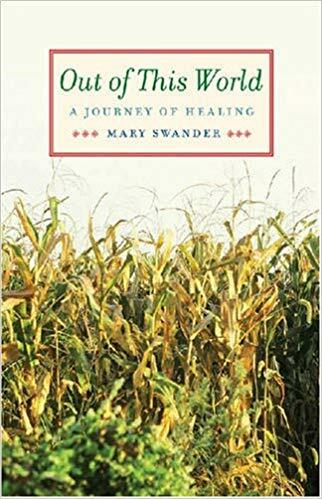 Out of This World is a simple but profound memoir, shaped by the course of a farmer’s year, in which Swander celebrates her time among the Amish people, explores what it means to be a lone women homesteader at the end of the twentieth century, and ponders the quiet spirituality born of a life on the land. 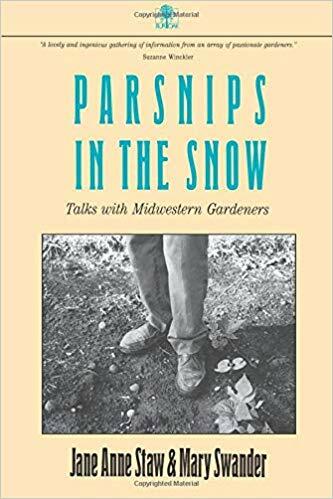 Through conversations with twelve vastly different gardeners – among them a Trapist monk, a retired mailman, and an advertising copywriter – this enchanting volume captures the spirit of Midwestern gardeners. Illustrated throughout is the wholesale dedication of midwesterneres to their gardens – despite drought, head, disabilities, and other challenges. Anyone who delights in gardening, the Midwest, or human triumph will enjoy this book. 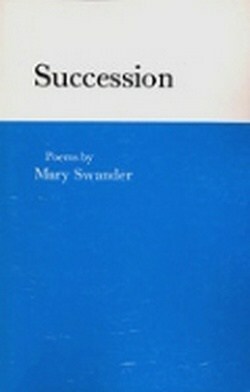 Poet, scholar, and gardener Mary Swander juxtaposes excerpts from early American settlers with nineteenth century classics and the work of prominent twentieth century writers to offer new perspectives on the seductive pleasure of coaxing flowers, fruits, and vegetables from the earth. 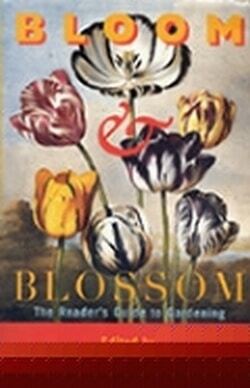 Bloom & Blossom showcases a diverse group of exceptional writers – a list that includes Jane Smiley, Henry David Thoreau, Garrison Keillor, Wendell Berry, Gary Nabhan, Maxine Kumin, Stanley Crawford, and Julia Alvarez, among others. 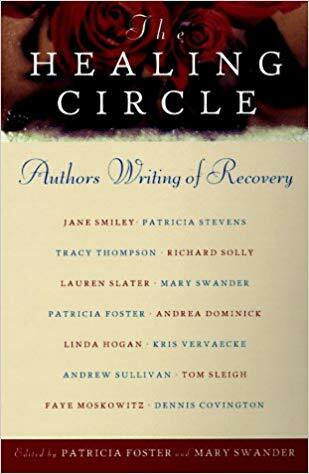 A collection of insightful essays by some of the most exceptional voices in literature, The Healing Circle explores profound questions about the experience of recovery from physical and emotional illness. The writers represented here examine their illnesses in the context of their lives, sharing, personal stories about how illness affects marriage, family relationships, lifestyle, and the creative process. They illustrate how recovery can become – through the sheer power of imagination – nothing less that an act of courage, as they learn to redefine and rediscover themselves even in the face of diseases that alter their bodies and their lives. 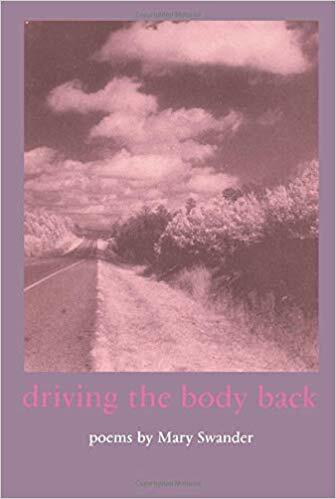 This is a sensitive and lyrical meditation on life – changing events that will make an important and lasting contribution to the vast literature of illness and recovery. Not since the early nineteenth century, when George Catlin and Karl Bodmer thoroughly sketched the area, have the rough-textured Loess Hills of western Iowa been artistically interpreted with any intensity. Now, inspired by this rugged landscape of steep-sided ridges and bluffs, Land of the Fragile Giants offers a collaborations of contemporary artists, scientists, and humanists all creating their interpretations of today’s Hills. 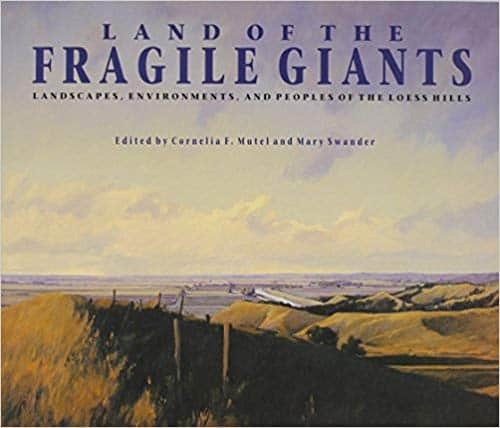 Looking at the natural and the human features of the renowned Hills, personal essays, blend with works of art to create a verbal and visual panorama of the Loess Hills and a multidimensional view of a region that makes a deep impression on each visitor.